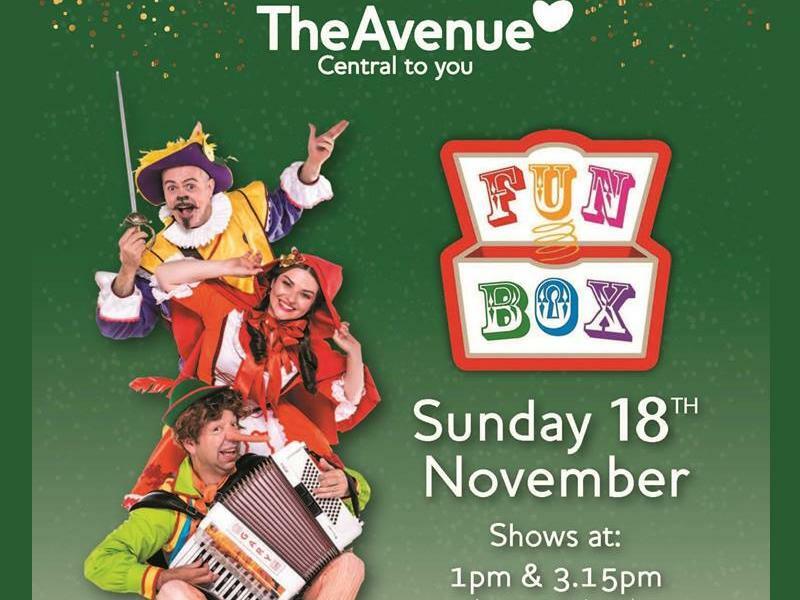 Family favourites FunBox will light up Christmas at The Avenue Shopping Centre, Newton Mearns on Sunday 18th November! Christmas is coming at The Avenue Shopping Centre in Newton Mearns and so are family favourites Funbox with two special mini-shows as part of the centre’s fantastic Light Switch On taking place on Sunday 18th November. Funbox shows will begin in the mall at 1pm and 3.15pm on Sunday 18th November. Both shows are FREE and will last approximately 45 minutes each with the Light Switch On taking place in the mall at 4pm. While we take every opportunity to ensure the details for Avenue Shopping Centre Christmas Lights Switch On are accurate, we always advise that you contact the event organiser before setting out for the event to avoid disapointment.